Home / engagement rings / Something old, something new, something borrowed, something blue. 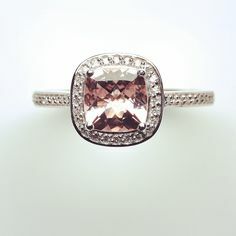 Vintage rings are back in fashion in a big way and they are a wonderful way of ensuring your engagement ring will be unique. 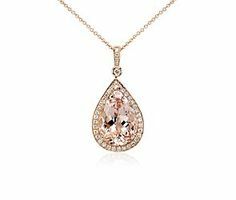 We suggest visiting jewellers who specialise in this kind of jewellery so that you can start to build an idea of what era and design style you are like. Buying a vintage ring at an auction house is also a fantastic place to start and auction houses can often provide you with more background information on a ring than what a vintage jeweller can. Of course, a popular alternative is creating a new ring in a vintage style and this is something that we have assisted many brides to be with. Art deco style rings are extremely popular with their geometric lines, mix of diamonds and gemstones and they make a striking statement. Also, don’t forget that certain diamond cuts, such as the emerald, Asscher, cushion and rose cut, have a vintage feel while other design details, like a single or double diamond pavé halo around the centre stone, also help to create a vintage look. Something new can of course refer to an engagement ring that is custom designed for you. All of our rings are bespoke creations for our client and it’s a wonderful way of ensuring that no two rings are ever the same. Our Head Jeweller, Neil Miller, has been creating custom jewellery since 1995 and bespoke engagement rings are his passion and his creative flair really comes to light once he begins the process of creating a unique ring for a customer. As Neil beautifully puts it “When you buy a piece of jewellery that has been handcrafted for yourself, it is like receiving a handwritten letter rather than an anonymous email – personal, unique and made with passion”. 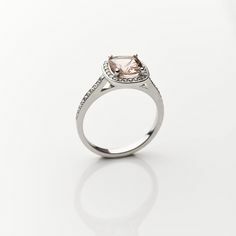 The stone Morganite is a relative new comer to the engagement ring market and, with its pink and peach hues, it is a wonderfully romantic stone to set into your engagement ring band. 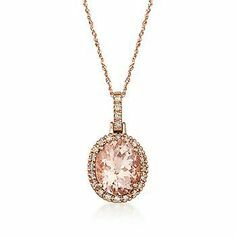 It is no secret that we love this particular stone and if you want to read more then click HERE to read our “Morganite – The Ultimate Guide”. We meet with a lot of customers who wish to create an engagement ring with a stone that has been passed down to them. One of the things we love about jewellery is the story and sentimental history behind each piece and passing a stone on from generation to generation is a wonderful way of creating a new piece of jewellery whilst keeping a memory of its previous owner/s alive. Sometimes a very small change can bring an older piece of jewellery to life or taking the diamonds or sapphires from a brooch for example and redesigning them to create a stunning handcrafted new engagement ring giving new life to something old yet treasured. The colour blue has long been associated with weddings and symbolises love and fidelity. Blue sapphires can make a bold statement on an engagement ring and sparkle can be added with diamonds in either a halo setting or a pave band. Blue sapphire engagement rings have long been popular but they saw a spark in sales when Prince William proposed to Kate Middleton using his late mother’s beautiful diamond and sapphire ring. Kate’s ring features a 12.00 carat oval blue Ceylon sapphire surrounded by 14 solitaire diamonds set in white gold. 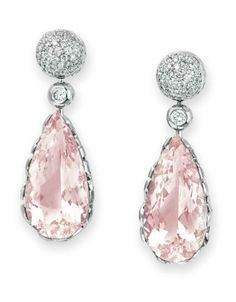 Sapphires score high on the Mohs scale of hardness which makes them the third most resilient stone on the planet after diamonds and moissanite. This means they make an excellent choice for an engagement ring as they can withstand plenty of knocks. Tanzanite is a very popular alternative to the blue sapphire and is an extraordinary gemstone with its deep blue colour surrounded by a hint of purple. Apart from sapphires, tanzanite is the most popular selling of all the gemstones. The beautiful colour of tanzanite looks beautiful next to white diamonds but scores slightly lower on the Mohs hardness scale than a blue sapphire at 6.5-7. The tanzanite is a called a trichroic gem which means that before it is treated it has three different colours – brown, blue and violet. Heating the stone removes the brown or burgundy colour to create a dichroic gem which shows only two colours which can vary from pale blues and lilacs to deep indigos and purples.